Barcelona lager beer Estrella Damm is teaming up with some of Bangkok’s best restaurants for a food pairing event that spans six months from Nov 2018-April 2019. There are some well-known names on the list, and at these prices it’s worth checking out. The dish: A signature snack platter with bite-size croquettes filled and creamy ground chicken and coated in crispy breadcrumbs. There’s also flavorful teriyaki chicken wings, crispy chicken popcorn and smoked mayonnaise with a sprinkling of spicy herbs and seasoning. Basically, begging to be paired with some cool beer. 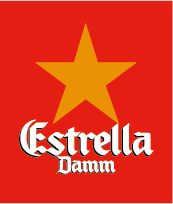 The price: B650/one dish with 2x 25cl of Estrella Damm. The dish: Accras de Morue & Crevette—an exotic spicy seafood cake (it’s a take by the Cagette gourmet team on the famous fritter from French Creole), made with flour, water, eggs, spices, and salted codfish. Keep it simple with some tartar sauce on the side and a cold drink. The price: B390/one dish with 25cl Estrella Damm. 15 Yen Akat Rd., 02-249-1684. Open daily 11:30am-10:30pm. The dish: Gambas ‘al pil pil’— An Andalucian favorite. Tiger prawns, garlic, paprika and Cayenne sprinkled with olive oil. The paprika and garlic-flavored olive oil creates a bed of succulent juices best mopped up with some of the crusty fresh bread you get on the side. 54/F, 999/99 Rama 1 Rd., Pathumwan, 02-100-6255 Open daily 4pm-1am. The dish: Them Crunchy Prawns—crispy fried prawns served with green mango salad filled with shallots, mango, peanuts, mint and coriander. It’s savory, crunchy and contrasted nicely by a tangy mango salad. The dish: 30-day whiskey dry-aged Ribeye (250g). The meat is the 30-days dry aged with selected Jack Daniels. The whole process creates a nutty flavor synonymous with dry-aged beef. The beer pairing works quite well here, and help to tease out the sweetness of the meat. The dish: British fish & chips. It’s hard to go wrong with moist, tender cod fish fillets wrapped in a light-double fried in beer batter and served with french fries, tartar sauce and lemon juice. The secret, according to D&D, is to only dip the fish in the batter at the last moment before plunging it into hot oil, which makes the batter snappy. The dish: Salmorejo—Andalusian's Original cold tomato and garlic puree with bread, a hard boiled egg, and diced serrano ham served on top. There’s also Galician-style cuttlefish with mashed potatoes, sea salt and smoked paprika. The final option is pintxos, Basque canapés with tuna, shrimp, avocado and jamón. The dish: Grilled Pork Ribs with Honey Smoked BBQ Sauce. The kitchen team at Madame go to great lengths to find the best spare ribs they can, and then tenderize the meat with a house-made marinade and seasoning made with local ingredients. Then, they are thrown on the grill to get that nice char and smoked flavor. The dish: Simple, homemade ravioli filled with generous chunks of salmon, fresh sauteed spinach, cheese and potatoes. There are also two delicious sauces to swirl the pasta in, and dollops of creamy cheese that take things over the edge. The dish: Spicy Salmon: Fresh Norwegian Salmon that delivers a moist, clean, fresh taste and a firm texture with fat marbling and an attractive red-orange color. It’s served with authentic Thai seafood sauces and paired with beer creates a nice balance of sweet, salty, spicy, and sour flavors.